At a community meeting recently, in a Memphis neighborhood called The Heights, a white woman named Linda Burgess – a resident since the 70s – stood up and said that she’d had an answer to prayer. She’d seen her African American, Hispanic, and Caucasian friends and neighbors joining hands in service of their community. They were working together on the Heights Line project: a pop-up public green space on National Street, designed to bring people together and to connect the historically overlooked neighborhood to exciting nearby developments. 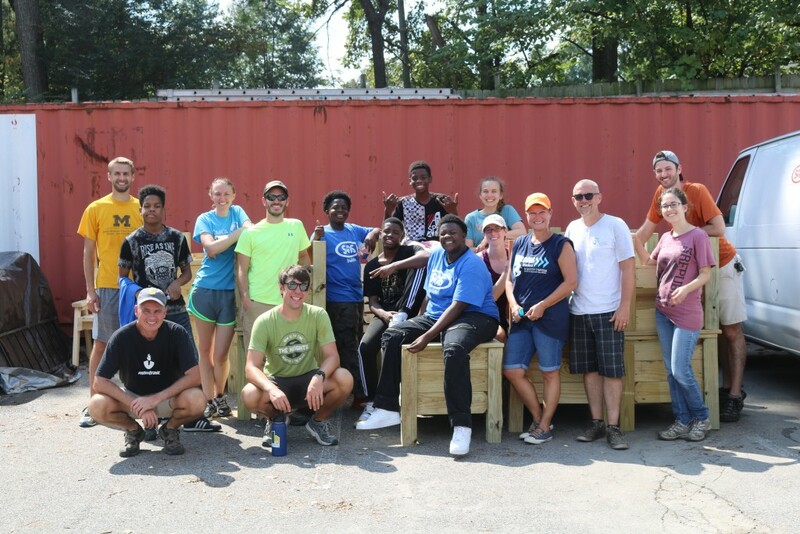 “Linda said that we’ve been needing this in our community,” explains Jared Myers, Executive Director of The Heights Community Development Corporation (CDC). Myers’ agrees: his focus right now, at the CDC, is on housing, and he knows that building common spaces will bolster the local real estate market. “There are 1,100 vacant and abandoned homes in our neighborhood,” he says, “so there’s a great need for us to address blight. The first ioby project we did was to board up houses with students from the neighborhood. We painted artistic renderings on the boards, and then made sure these houses were secure, so that criminal activity wasn’t taking place in them.” The CDC has since gone on to rehab nine houses, which is a great start, but only a drop in the bucket. Drastic measures are needed. Big-picture thinking is what the doctor’s ordered. Enter: The Heights Line. 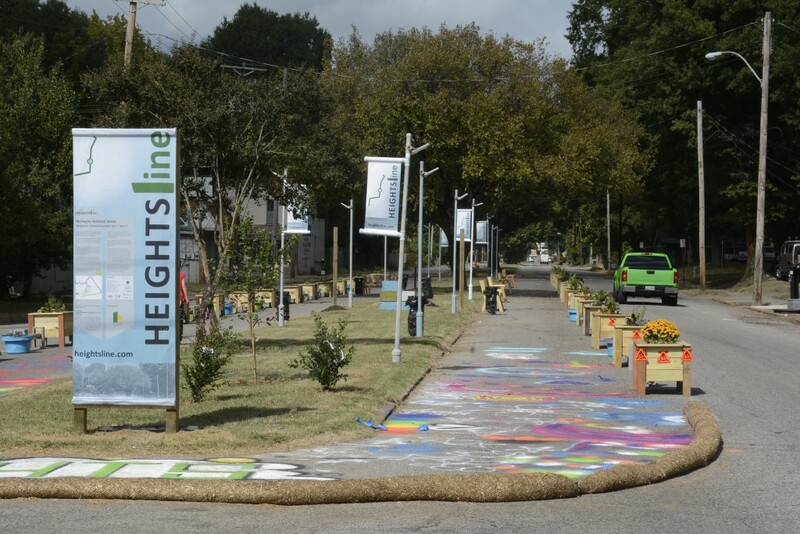 There’s a lot of potential energy building in Memphis right now, on the creative place-making front, which is part of what The Heights green space was designed to tap into. The nearby Broad Ave Hampline, for example – a new bike lane running hand in hand with the revival of an abandoned commercial strip – has begun to bring vibrant new life to Binghampton. The Wolf River Greenway – a green space and trail network into which the city has invested 40M – is also close enough for Heights residents to enjoy… if only there were good, safe ways to walk and bike there. Myers would love to see the pop up turned into a permanent project that would cover the entirety of National Street. Heights residents will need to regroup after November 11, and see how everyone feels. Whatever comes of this iteration of The Heights Line, it’s gotten people civically engaged, and it’s gotten them speaking up – agreeing, disagreeing, compromising, and working together – and that’s a boon any way you slice it.